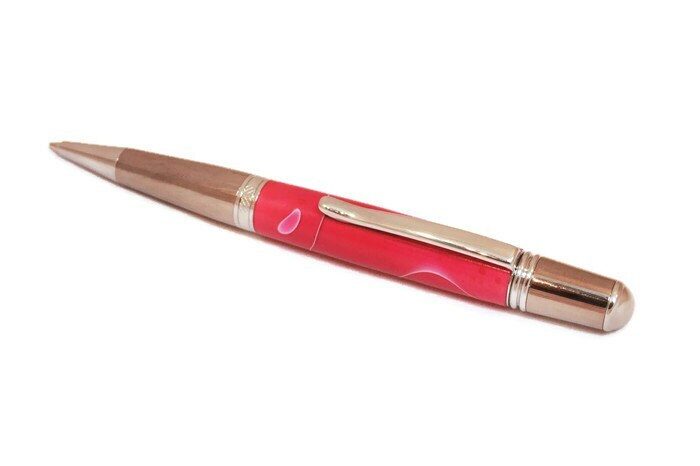 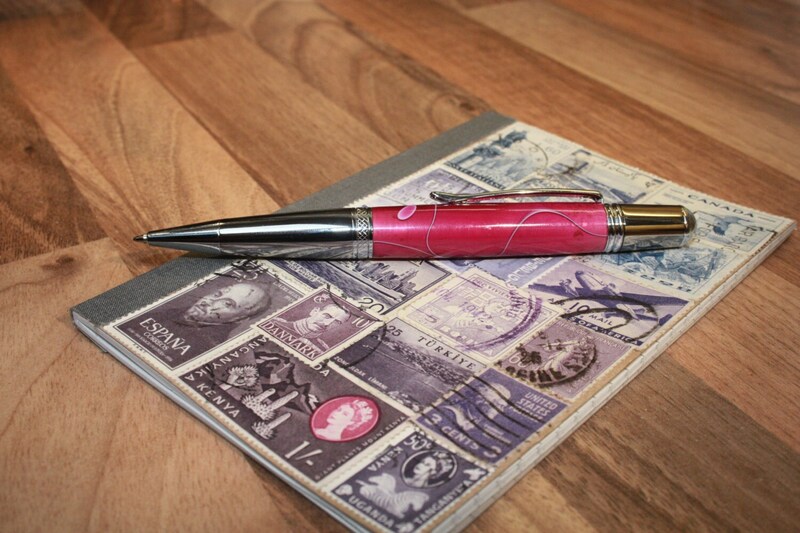 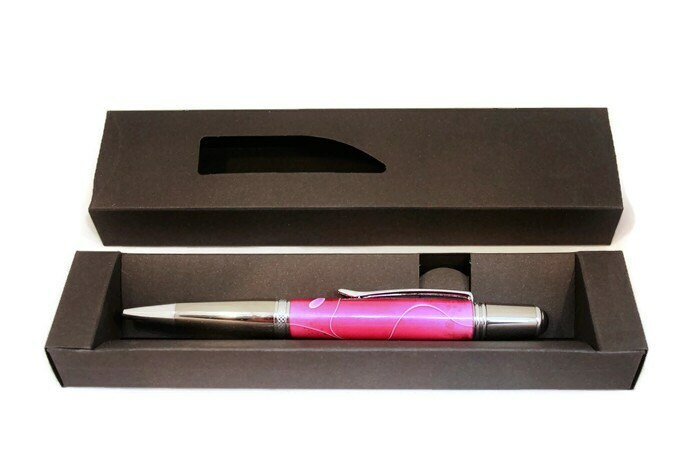 Pink Ballpoint Pen Handmade In A Pink Swirl Acrylic with Genuine Swarovski Crystals and Charm. 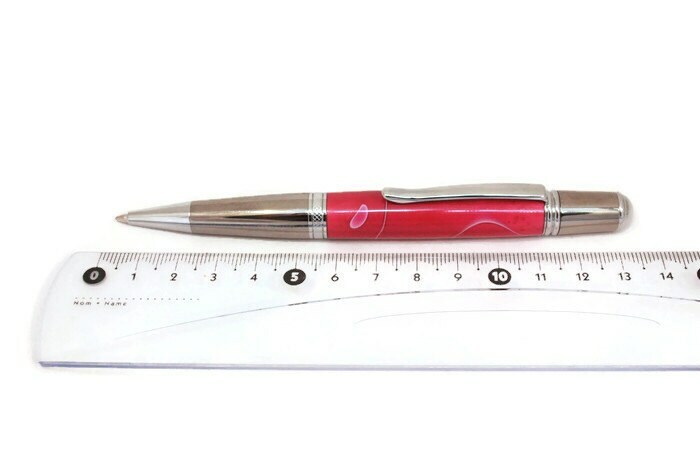 - Handmade twist action ballpoint pen. 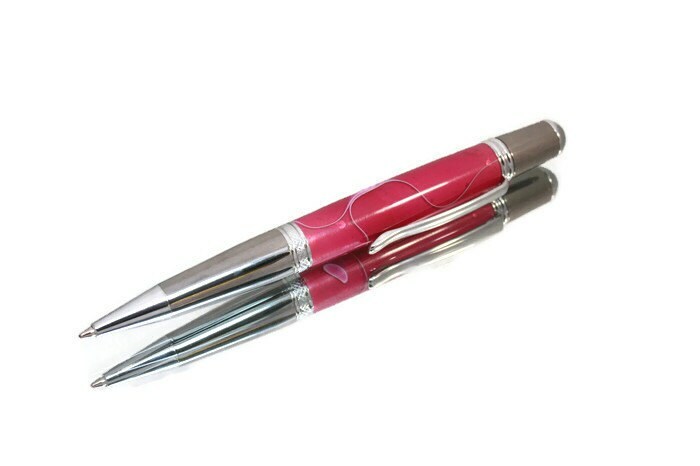 - Features a smooth, quiet & reliable twist mechanism.